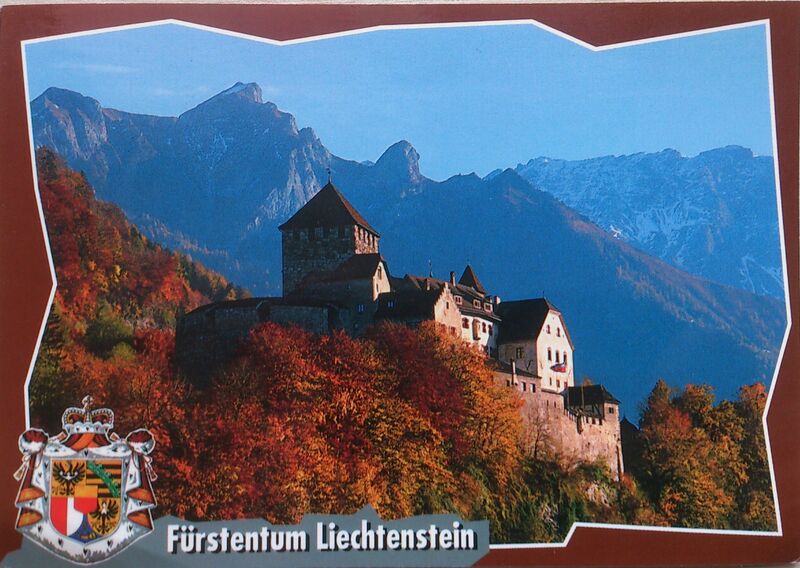 It’s my second card picturing the Vaduz Castle, the other one you could see here. 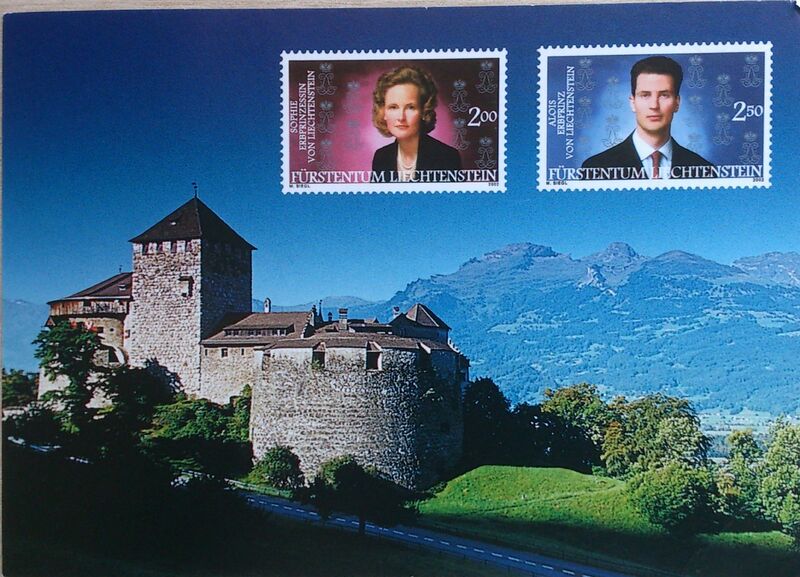 Vaduz Castle is the palace and official residence of the Prince of Liechtenstein. The castle gave its name to the town of Vaduz, the capital of Liechtenstein, which it overlooks from an adjacent hilltop. It is thought that the castle was constructed as a fortress as early as the 12th century, before living quarters were added in 1287. Vaduz Castle is first mentioned in documents dating back to 1322. The castle came into the ownership of the Princely Family in 1712 and the west wing served as the family’s official residence until 1732. However, after that the building became increasingly dilapidated and fell into disrepair before being rebuilt and renovated between 1905 and 1912. Under Prince Franz Josef II the castle was extended and once again made fit for living. In 1939 the Prince moved in with his family and adopted Vaduz Castle as his official residence. Vaduz is the capital of the principality of Liechtenstein and the seat of the national parliament. The town, located along the Rhine, has about 5,100 inhabitants. Although Vaduz is the best-known town internationally in the principality, it is not the largest: neighbouring Schaan has a larger population.